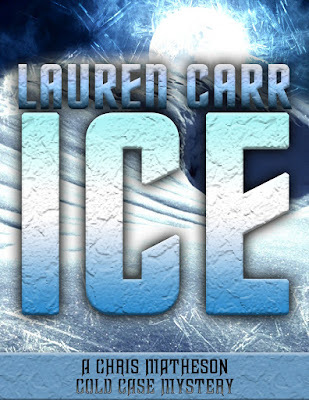 Author Lauren Carr, joins us this week with a look at the importance of location in mystery writing. You can pre-order the first book in her newest series, Ice, which releases on February 26! When it Comes to a Series - Location, Location, Location is Everything! Back when I was nineteen years old, I sat down to write the Great American Tragedy, a 900+ page debut novel. Granted, I had never been west of the Mississippi, but that was where I wanted to be and the book was fiction, so that was where I set it. Today, that manuscript is stuffed in an attic some place where it will never see the light of day. One of the first things writing instructors teach is to write what you know. I had never been the Hollywood, so all I knew about it was what I saw in the movies. I was from a small town in West Virginia. Who’d want to read a murder mystery set there? I wanted a murder mystery set in Hollywood, baby! Now that I have grown a bit—I hope—I have learned a few things about settings, particularly when it has to do with settings for mystery novels, especially series. More goes into a setting than time and place. Setting encompasses the atmosphere, feel, of the location, which can have a direct effect on your characters. Try to imagine Mark Twain’s Huckleberry Finn set in New York City during that same time period. Yes, there’s a river to drift down on a raft. Huck would end up being a street urchin living in an alley instead of a shack along a river. The shack along the river is much quainter than an alley in New York City. It would have been a completely different book. When plotting a murder mystery, I take a number of factors into consideration when deciding on the setting. Is it dirty and smoggy? Or is the sky blue and the air fresh? Are the victim and those connected to him or her caring? Or are they so self-absorbed that they curse the dead body blocking their path to the nearest Starbucks? The answers to these questions contribute to my decision of which setting I select for the mystery. My Lovers in Crime Mystery series is set in and around Chester, West Virginia—one of those small towns where everyone knows everyone. Most of the population is senior citizens or their grown children who have returned to the nest after having been out there in the real world. It’s home. Folks don’t just know who you are, but they most likely know who your father was and what teacher you had in the fourth grade. People are friendly. Neighbors help their neighbors. The air is fresh. The pace is lazy. That is a complete contrast to the Thorny Rose detectives. Jessica Faraday and Murphy Thornton are a young married couple who live in northern Virginia just outside Washington, DC. Murphy works at the Pentagon. In the opening scene for my current work in progress, a Thorny Rose Mystery, Murphy is navigating Friday evening rush hour, which launches the fast-paced plot. Chester does not have a rush hour, so such a scene would not work for the Lovers in Crime. The Joshua Thornton/Lovers in Crime was my first mystery series, created after I had grown up to embrace my small-town roots. After a few installments in the series, I discovered that while the charming characters and feel are striking to readers, the limited setting can stretch a murder mystery reader’s suspension of disbelief to the breaking point. Example: Every cozy mystery fan loves the television series, It’s Murder, She Wrote. I’ve seen every episode. If you’re a fan, you’ll recall that rather quickly, Jessica Fletcher started encountering mysteries while on book tours or visiting friends in other parts of the world, with only a few episodes happening in Cabot Cove. As a matter of fact, she even moved to New York City. Why? Because the small town of Cabot Cove was becoming the murder capital of the world. Mystery fans started making jokes about never visiting Cabot Cove because you won’t get out alive. So, the writers moved Jessica to New York City where a murder every week was more believable. Not only does the location and atmosphere contribute to the setting, but so do the people who live there. As I had mentioned, the people who live in and around Chester, West Virginia, have roots in that area. Everyone knows everyone. A murder in Chester is a true whodunit. While there may be strangers or outsiders, they are few. Set in the upper-class suburbs across the Potomac River from the Nation’s Capital, the Thorny Rose detectives encounter wholly different types of murder victims and suspects. In a town filled with movers and shakers, folks here are ambitious and busy. Neighbors don’t necessarily know each other—and if they do—they most likely don’t care. The Thorny Rose Mysteries offers the perfect setting for sophisticated murders involving glitzy glamourous characters with the dark metropolitan underbelly. Sometimes, I’m in the mood for a small-town mystery with a big city setting. Enter the Chris Matheson Cold Case Mystery series. Chris Matheson lives on the family farm along the Shenandoah River in Harpers Ferry, West Virginia. Don’t let the state name fool you. In the eastern panhandle of West Virginia, Harpers Ferry is considered part of the Washington, DC, metropolitan area. The passenger trains that leave from several stops throughout the panhandle are filled with commuters going to Union Station in Washington for their jobs in and around the city. In the twenty-five years that I have lived here in Harpers Ferry, I have seen a tidal wave of professionals in search of a more family friendly atmosphere moving out of the city. Being a farm girl myself, it’s frustrating to understand those folks who specifically move out of the city because they want to move to the country, and then expect the country folks to adapt to their big city ways, instead of embracing the country way of life. As a rule, you can take the girl out of the country, but you can’t take the country out of the girl. From what I have seen, for some folks, you can take them out of the city, but you can’t take the city out of the folks. I’ve also seen families who’ve made West Virginia their home for several generations. I’m still struggling with trying to figure out how to make homemade bread, by hand, without a bread maker. Some town’s people welcome the growth, while others resent the outsiders. Chris Matheson is a mixture of the two groups—a growing dynamic I have observed. He was born and raised in Harpers Ferry. Then, he took advantage of the opportunities offered to him and went out to see the world. First, he served in the military. Then, he became an investigator with the FBI. Now, retired, he moves his family back home. He has been in both worlds, which gives him an ability to maneuver through them while working a case. Upon returning to Harpers Ferry to work his family farm, he becomes friends with other law enforcement retirees. That is another population group who have found their way into this setting. The lower taxes in West Virginia have made the area a popular retirement spot for retirees. Their diverse law enforcement experiences make for a vast pool of storylines to choose from. The quaint setting, with a proximity to the bustling Washington DC metropolis, makes my writer’s mind spin with possible plotlines and a vast array of characters to include. Chris Matheson and his team, the Geezer Squad, tackle their first cold case, a close to the heart missing person’s case, in Ice. I promise you, this won’t be the last. Now, Lauren has added one more hit series to her list with the Chris Matheson Cold Case Mystery series. Set in the quaint West Virginia town of Harpers Ferry, Ice introduces Chris Matheson, a retired FBI agent, who joins forces with other law enforcement retirees to heat up those cold cases that keep them up at night. Lauren is a popular speaker who has made appearances at schools, youth groups, and on author panels at conventions. She lives with her husband and three dogs, including the real Sterling, on a mountain in Harpers Ferry, WV. 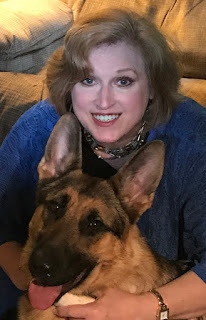 Thank you so much, MRM and Mrs. MRM, for having me at Must Read Mysteries today to talk about ICE, my new cold case series set in the outskirts of the Washington Metropolitan area! It is our pleasure to host you! !